Dining table seats four and there are three bar stools as well. Updated kitchen will all major appliances and granite counter tops. 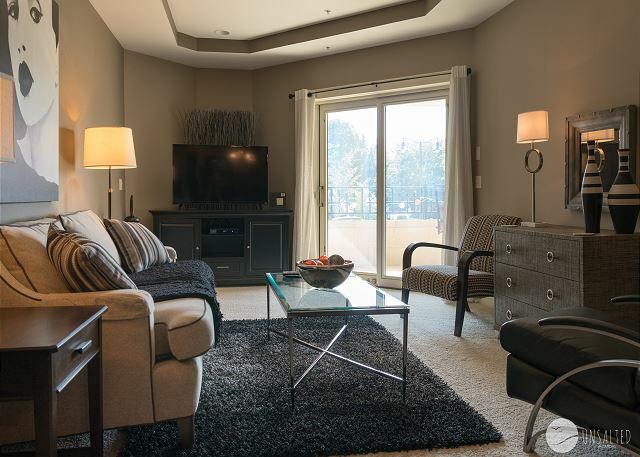 Enjoy open concept living! The kitchen leads right into the living room. 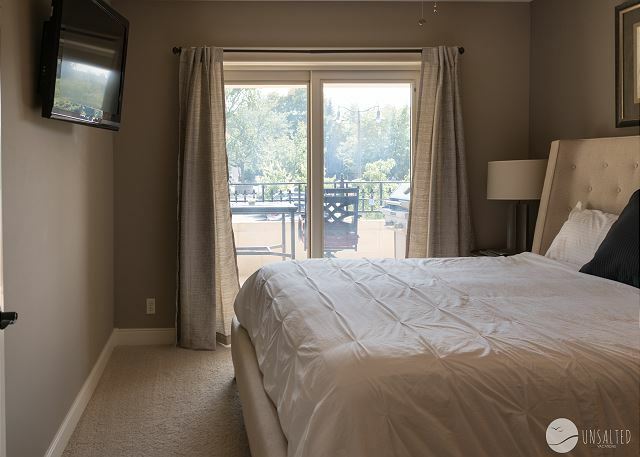 Master bedroom with sliding glass doors out to the patio and a flat screen TV. 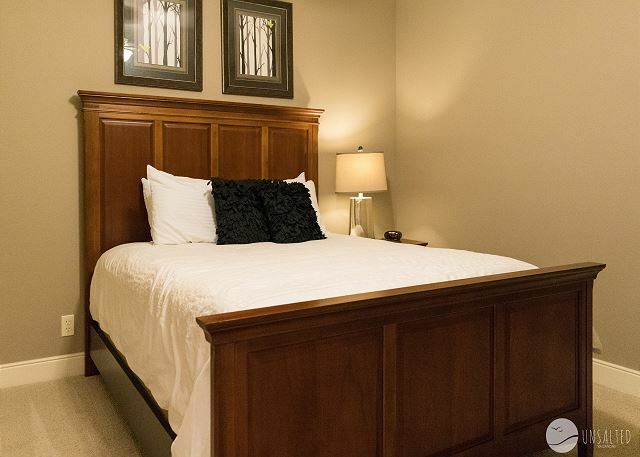 There's a king size bed in the master bedroom. Spacious walk in closet in the master suite. Full en suite bath off the master bedroom. 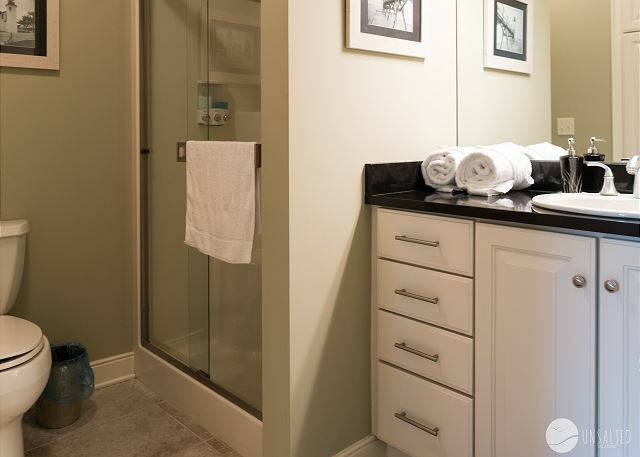 Bathroom #2 has a tub/shower combo with a glass door. There's a stack-able washer and dryer in the front entryway. Balcony with access off of the living room and master bedroom. 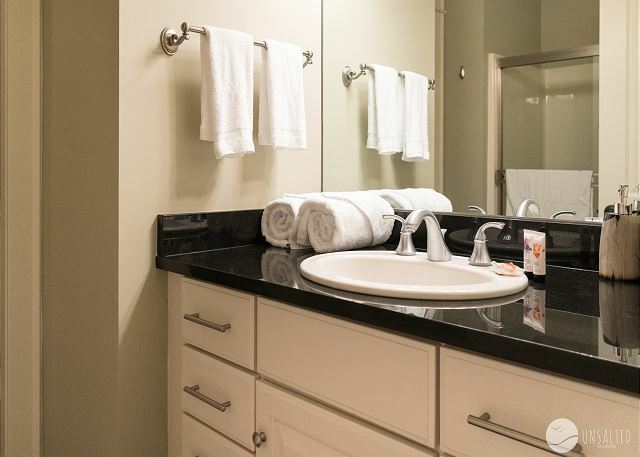 There is so much to love in this tastefully decorated, downtown condo. The location, furnishings, spacious master bedroom and open concept floor plan all attribute to its wonderful accommodations. It's luxurious and private, yet close enough to all the action. Grand Retreat is on the second floor of the The Grand building and spans one level, so you never have to worry about stairs. 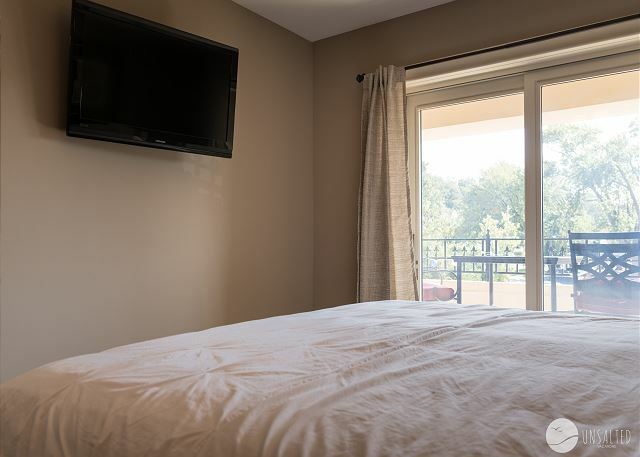 It features a large master suite with an attached bath and spacious closet, a guest bedroom, full guest bathroom, stack-able washer/dryer, and comfy furnishings. 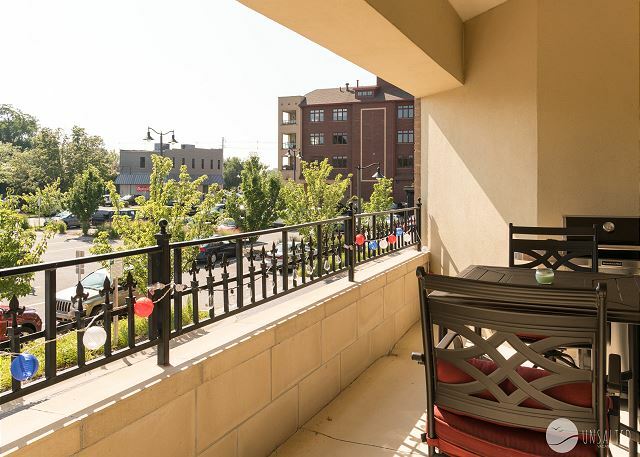 Off the living room, you will find a private, covered balcony. The eat in kitchen is ideal for vacationers - it's well stocked and practical. There's lots of counter space and cabinets, all the major appliances (including a trash compactor), and all dinnerware and cookware. 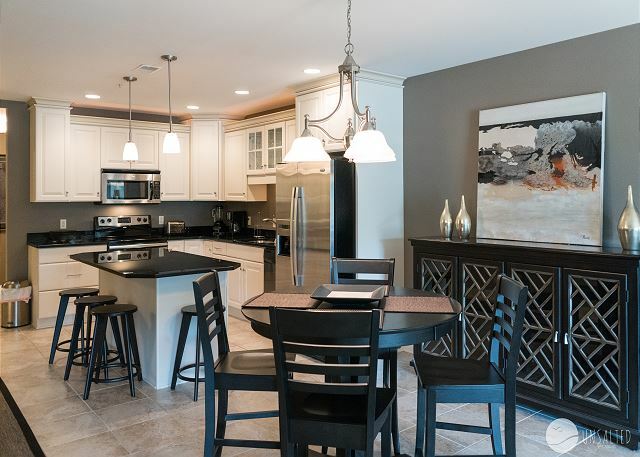 The center island with three bar stools is great for a quick bite to eat, or sit around the kitchen table for a more formal dinner. Grand Retreat is right in the heart of downtown Grand Haven. There are restaurants, coffee shops, boutiques, toy stores, bars, all right outside the door. The fireworks, musical fountain, Worship on the Waterfront, are all featured at the waterfront stadium just down the block. The channel is right there as well and you can walk the boardwalk about a half mile down to check out the lighthouse and beach. The Grand building has lots of history and character - it was once a cinema and since has been converted to the luxurious "Grand Theatre" condos. We enjoyed staying here very much! Hi Connie- so glad to hear you enjoyed staying at Grand Retreat. We hope to have you back soon, have a wonderful summer. We really enjoyed our experience in Grand Haven. What a beautiful place to visit, with many activities, great shopping, and centrally located for adventurous day trips. Our rental condo was perfectly located a block from the water and most everything was within walking distance. The only negative was the parking. Thank you for your kind review of Grand Retreat in Grand Haven! We are so happy to hear that you found your vacation adventurous and that the condo conveniently located. Hope to have you back soon!